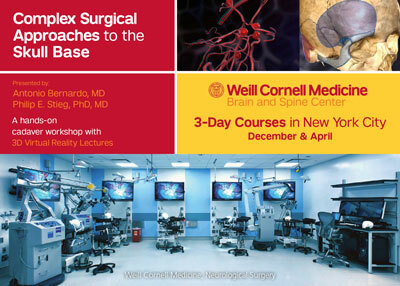 This unique hands-on course is conducted twice a year at Weill Cornell’s state-of-the-art Surgical Innovations Laboratory for Skull Base Microneurosurgery. Participating surgeons work at 3-D interactive cadaver workstations, where they watch cadaveric dissections and review surgical anatomy — all in 3D — before and during their own dissection.The combination of the 3-D virtual reality environment and the cadaveric hands-on dissection affords surgeons excellent preoperative training and rehearsal of current, complex approaches in cranial base surgery. Courses are held twice a year (in April and December). 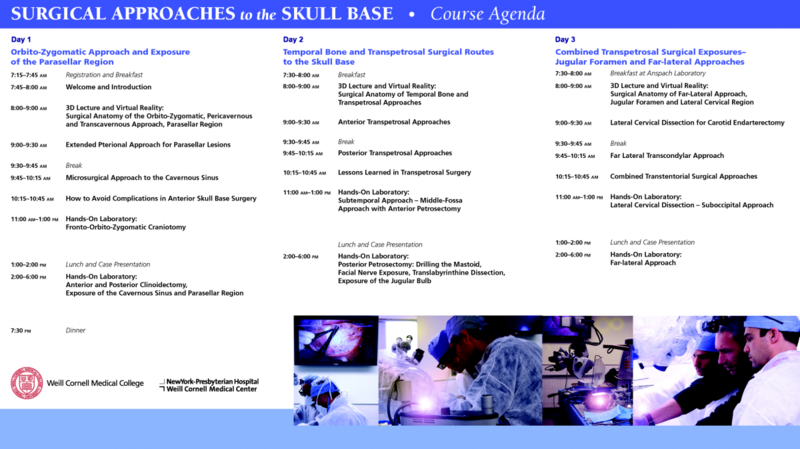 View a sample agenda from a previous course.